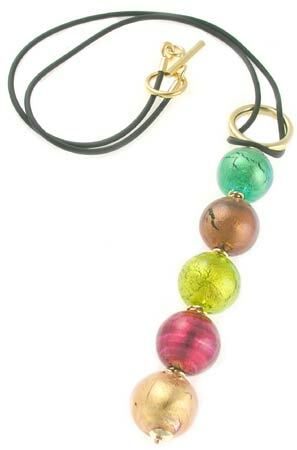 Stylish and fun Venetian bead necklace featuring five gold foil beads on gold-filled bead chain, hung from an 18 inch rubber cord. Fit is closer to a 17 inch necklace due to the wrap. Made in Italy.